SAN DIEGO, CA – May 4, 2011 – Endurance Sportswire (ESW) today announced the launch of the first press release distribution service specifically for PR agencies and organizations serving the running, cycling or triathlon markets. ESW is an affordable and easy way to ensure press releases get to the endurance sports reporters who matter at industry trade publications, consumer media outlets, major newspapers and popular blogs. Additionally, press releases are delivered to thousands of industry insiders who follow the endurance sports market. ESW was created by public relations veteran Tina Wilmott after realizing that the endurance sports market needed an industry-specific press release distribution service to get their news to relevant reporters and those in the industry. 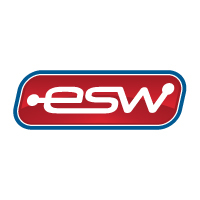 For reporters and bloggers writing about running, cycling or triathlon products, news and events, ESW delivers industry press releases when and where it is most convenient. Press releases are updated daily and can be read on the Endurance Sportswire website, received in a weekly email or accessed via RSS feed. Companies interesting in using ESW pay one low price starting at $50/month or $500/year to publicize unlimited press releases making it an extremely cost effective solution for any PR or marketing department. PR agencies qualify for discounted pricing and non-profits post announcements for free. For more information about Endurance Sportswire and to receive industry press releases, please visit www.endurancesportswire or email info@endurancesportswire.com.